Mizuma Gallery is pleased to announce ON/OUT OF PAPER, a group exhibition curated by Hermanto Soerjanto, featuring five Southeast Asian artists: Ashley Yeo (SG), Irfan Hendrian (ID), Iswanto Soerjanto (ID), Ryan Villamael (PH), and Yudi Sulistyo (ID). Works on paper are often understood as less valuable and less significant as compared to sculptures and works on canvas, as they are commonly perceived as a study or a sketch for something bigger. This view may have been influenced by the Western art culture in which paper is seen only as a temporary medium for artists to organize their thoughts or ideas before they create their artworks. Tracing back to thousands of years ago, paper was essential to Japanese and Chinese scroll paintings. Works on paper – whether made with ink, watercolour, pencil, or charcoal – have their own unique charm that is difficult to replicate with other mediums. In Chinese paintings, shaping forms through the use of ink and water on paper is a fluid and often uncontrollable process that requires the artist to understand the medium very well in order to work with it. This process attributes to the distinctiveness and the unique quality of Chinese ink paintings. However, the characteristics of Chinese paintings are often neglected due to the widespread influence of Western Art principles. In this contemporary age, the use of mediums and materials for art creation has become quite versatile. This has unlocked a huge window of opportunity for artists to explore alternative mediums and unconventional techniques. In his works, Chinese artist Cai Guo-Qiang ignites gunpowder on paper, capturing burn marks left by the energy and fumes from the explosions. With paper as the sole medium, Japanese artist Tomoko Shioyasu employs traditional paper-cutting technique to form unique pieces of artworks. Paper, as a medium, has developed beyond ordinary means. It no longer serves only as a foundation for artists to lay their paint, ink, or pencils on; but also functions as an independent medium out of which artworks are created. ON/OUT OF PAPER showcases artworks by Ashley Yeo, Irfan Hendrian, Iswanto Soerjanto, Ryan Villamael, and Yudi Sulistyo. Beyond seeing paper merely as a tool, the artists in this exhibition approached the medium with an interest in its materiality and developed unconventional techniques of utilizing it in their works. Ashley Yeo (b. 1990, Singapore) graduated with a Master’s Degree in Fine Arts from the University of Arts London, Chelsea College of Arts, London, United Kingdom in 2012 and a B.A. in Fine Arts from the LASALLE College of the Arts, Singapore in 2011. 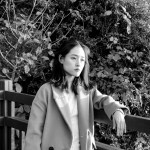 She has held two solo exhibitions to date, The haze in their eyes at Becky Art Space, Jeonju, South Korea (2016) and You must imagine Sisyphus happy at FOST Gallery, Singapore (2015). She has participated in numerous group exhibitions in Singapore, Japan, South Korea, United Kingdom, and United States. 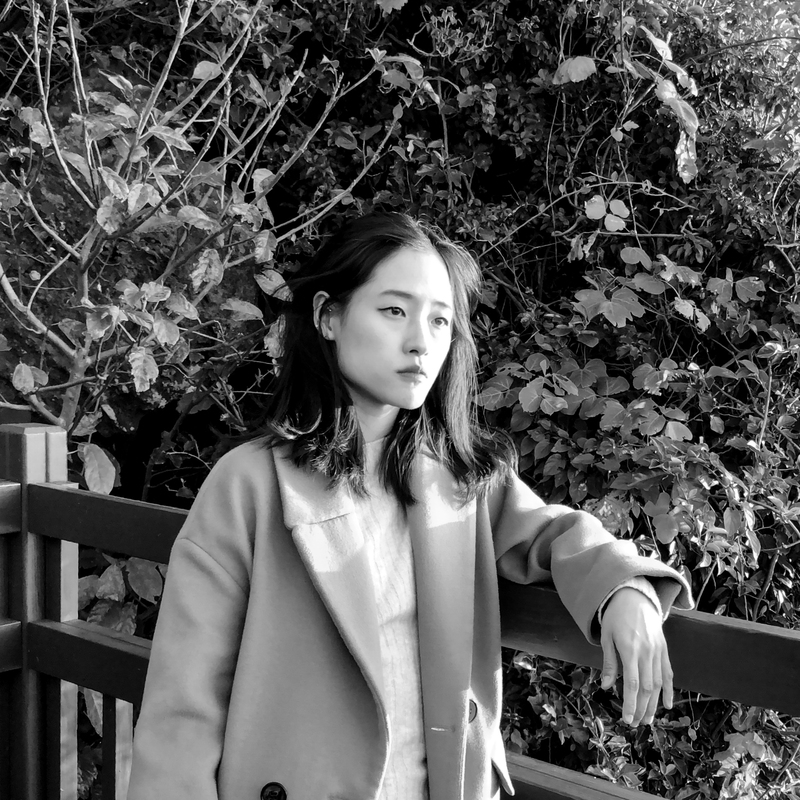 She was the first Singaporean artist to be shortlisted for the LOEWE Craft Prize, London, United Kingdom (2018). Ashley Yeo lives and works in Singapore. Irfan Hendrian (b. 1987, Ohio, United States) graduated with a Master’s Degree in Fine Arts from the Institute of Technology of Bandung, Bandung, Indonesia in 2016 and a Bachelor’s Degree in Graphic Design from the Whanganui School of Design, Whanganui, New Zealand in 2008. His solo exhibitions to date include the recent SANS ☒ at Sullivan + Strumpf, Singapore (2018); Logical Aesthetic at ViaVia, Yogyakarta, Indonesia (2012); and his first solo exhibition Secular World at Asbestos Art Space, Bandung, Indonesia (2011). 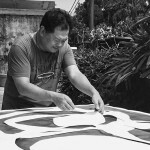 He has exhibited in numerous group exhibitions in Indonesia, Singapore, Malaysia, Philippines, China, and New Zealand. His works are in the collection of Jeonbuk Museum of Art, Jeonju, South Korea. Irfan Hendrian lives and works in Bandung, Indonesia. Iswanto Soerjanto (b. 1967, Jakarta, Indonesia) graduated from the Brooks Institute of Photography, Santa Barbara, California, United States, with a major in Illustration and Advertising Photography in 1988. He had his first solo exhibition Re-Definition at Selasar Sunaryo Art Space, Bandung, Indonesia (2018). 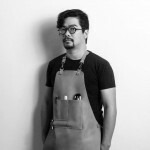 He has also been part of various group exhibitions, such as From the Archives at Mizuma Gallery, Singapore (2018); Art On Paper Amsterdam at Gallery Lukisan, Amsterdam, Netherlands (2018); Beyond Photography at Ciputra Artpreneur Centre, Jakarta, Indonesia (2011); and at Garis Art Space in both Jakarta (2008) and Bali (2004), Indonesia. Iswanto Soerjanto lives and works in Jakarta, Indonesia. Ryan Villamael (b. 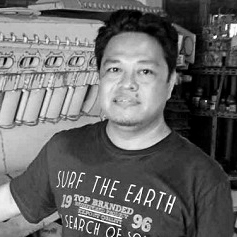 1987, Laguna, Philippines) graduated with a Bachelor’s Degree in Painting from the University of the Philippines, Quezon City, Philippines in 2009. 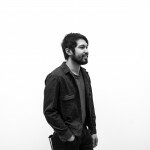 He had his first solo exhibition Cut Felt at Silverlens, Manila, Philippines (2011) and since then has mounted numerous solo exhibitions such as the recent A Paradise Lost at Silverlens, Manila, Philippines (2019) and Locus Amoenus at Ateneo Art Gallery, Manila, Philippines (2018). He has participated in numerous group exhibitions in Philippines, Singapore, Thailand, Indonesia, Hong Kong, Taiwan, Japan, France, and Australia; including the 2018 Biwako Biennale in Japan and the 2016 Singapore Biennale. He is the recipient of the Ateneo Art Award in 2015. Ryan Villamael lives and works in Quezon City, Philippines. Yudi Sulistyo (b. 1972, Yogyakarta, Indonesia) graduated from the Indonesia Institute of Arts, Yogyakarta, Indonesia with a Degree in Design and Visual Communication in 1994. He had his first solo exhibition Metal Drama at Art:1 New Museum, Jakarta, Indonesia (2017). He has participated in numerous group exhibitions, such as PLUGGED at Pearl Lam Galleries, Singapore (2016); After Utopia at Singapore Art Museum, Singapore (2015); Shout! Indonesian Contemporary Art at Museum of Contemporary Art of Rome, Rome, Italy (2014); and Close The Gap: Indonesia Art Today at Melbourne International Fine Art Gallery, Melbourne, Australia (2011). Yudi Sulistyo lives and works in Yogyakarta, Indonesia. 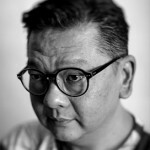 Hermanto Soerjanto (b. 1970, Indonesia) went to Palin School of Arts & Design in Singapore and Akademi Teknik Desain Interior (ATDI) in Jakarta, Indonesia, before joining Cipta Citra advertising agency in 1994. Since then, he had built his career in the field of advertising and currently holds a position at Pantarei Communications as Chief Creative Officer. As an art collector, Hermanto Soerjanto is familiar with Indonesian artists, having spent much time conversing with them and visiting their studios. In 2008 he established GARIS Artspace, an art gallery in Jakarta showcasing works by contemporary Indonesian artists, where he organizes and curates the exhibitions on regular basis. 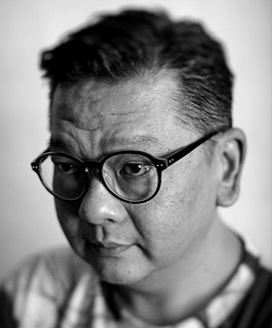 To date, Hermanto Soerjanto has organized several exhibitions, most notably Noodle Theory by Angki Purbandono at GARIS Artspace (2010), Ethnicity Now, a group exhibition at Galeri Nasional Indonesia, Jakarta (2010), and Unveiling Fundamentals in Contemporary Art Through Asia at OHD Museum, Magelang, Indonesia (2015). 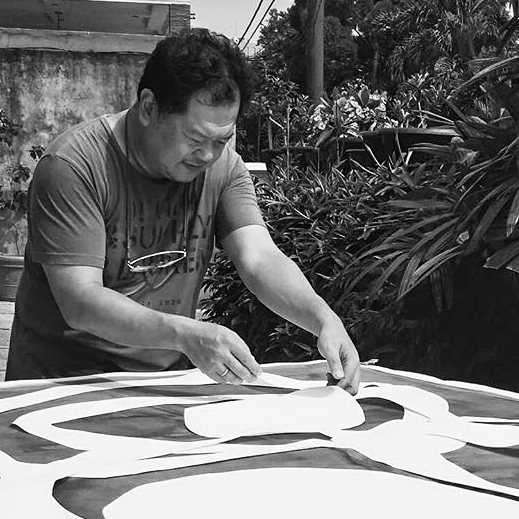 Hermanto Soerjanto lives and works in Jakarta, Indonesia, and is one of the co-founders of Rumah Kijang Mizuma alongside Executive Director of Mizuma Galleries, Sueo Mizuma, and artist Angki Purbandono.